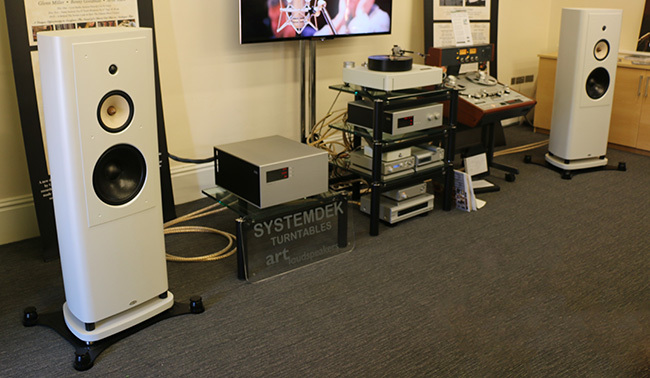 Over the entire weekend at the National Audio show, Townshend Audio demonstrated how the Seismic Podiums successfully isolate hi-fi equipment. Using two identical Android tablets with a seismograph application, visitors were invited to stamp the floor and see for themselves how remarkably well the Seismic Podium prevented their footfall from disturbing the seismically dampened readout. The PMC Fact.12s through spikes as seen on the readout above show how effectively rigidly connected speakers transmit ground borne vibration. Townshend proved that concrete flooring, once thought to be the ultimate launch pad for hi-fi, is in fact showing its efficiency in transmitting ground vibration. It takes just a small leap of imagination to see how the seemingly unperceivable vibrations, in our everyday lives, can swamp the fine detail of the speaker’s cone movement. Clarity Alliance’s show judges saw the potential in this ground breaking product and awarded the Seismic Podium demonstration ‘Most Innovative’. At the show other rooms integrated Seismic Podiums in their systems, the results under their speakers have been astonishing! The Clarity Alliance’s Best demonstration award went to Chasing the Dragon, Mark Valentine. Valentine decided to use the Seismic Podiums under his Art Audio speakers when he heard what they did for his sound. When Townshend congratulated him, he said he felt that “the Seismic Podiums really gave a winning edge to the system”. At busy shows the podiums really come into their own insuring that the equipment demonstrated is being protected from ground borne vibration. 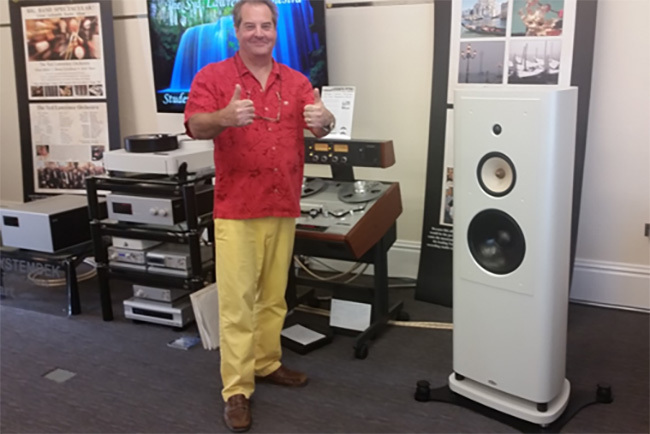 PMC’s MB2S XBD-A and size 4 Townshend Podiums make an awesome match that no one can deny after this powerful and controlled performance delivered to an enthralled audience. 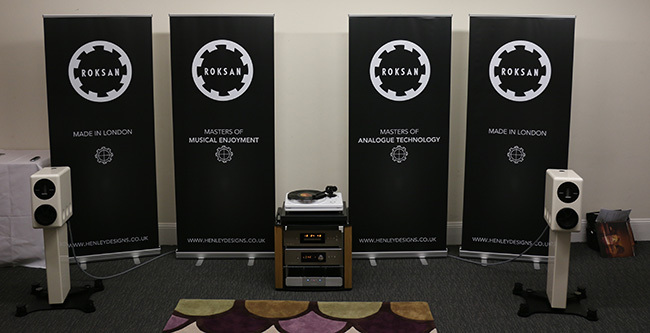 Townshend Seismic Podiums continue to receive endorsement from hi-fi aficionados with Henley Designs showcasing the elegant ROKSAN Darius S1’s upon a pair at the National Audio show. 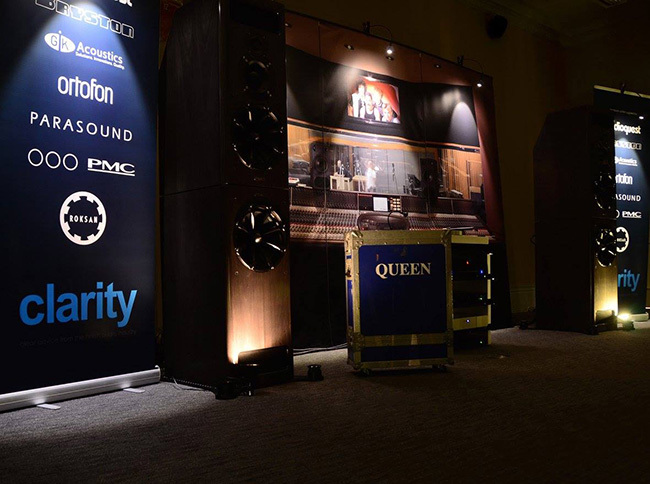 Clarity Alliance in partnership with the National Audio Show recognises the hard work put in by exhibitors through their ‘best in show’ awards. Clarity’s independence and desire to be seen to be working for the good of the whole industry is in evidence with members able to showcase their products at the NAS and enjoy seminars that run throughout the weekend.